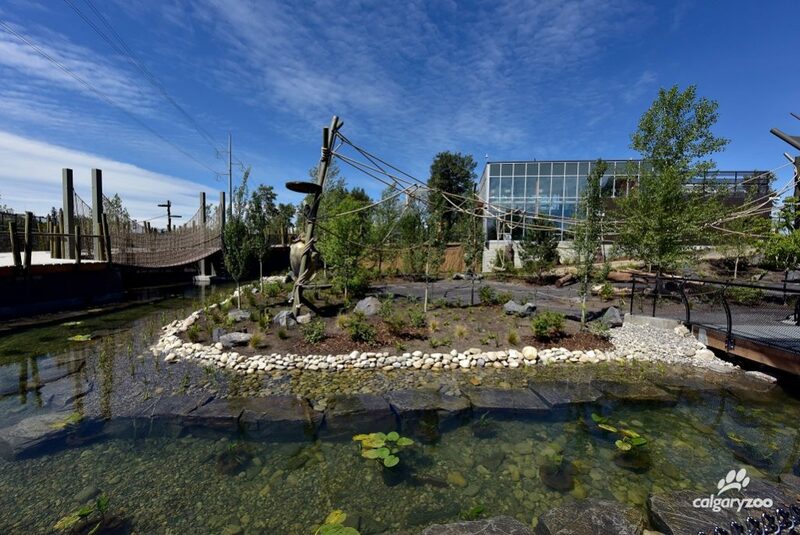 This summer the Calgary Zoo celebrated a huge milestone; opening our first new animal building and habitat since 2012’s Penguin Plunge! 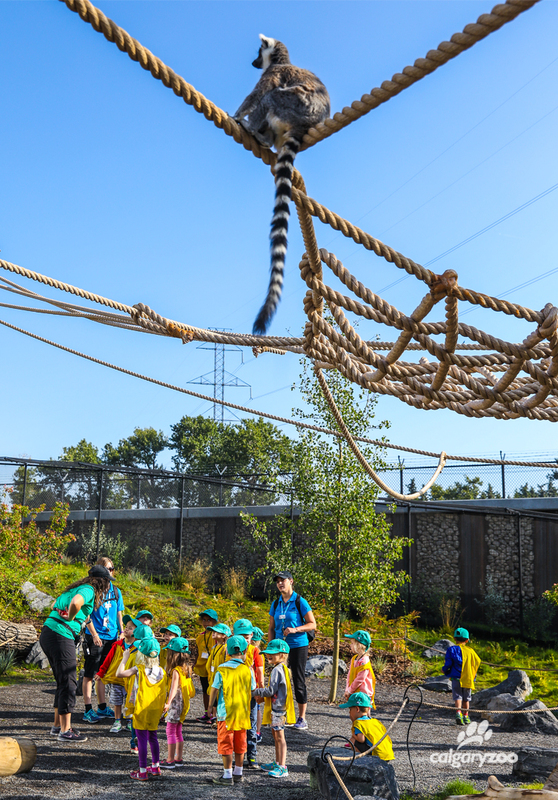 With opening a new building comes many challenges- the interpreters and zookeepers prepare the public to see the new space – and of course, meet new lemurs. Leap in with us! Lemurs are most active at the start and end of the day, so starting or ending your zoo visit with a trip to lemurs is a great idea. Just like people, lemurs can be sleepy when it’s hot out, and seek shade and rest at the peak of the day. When it’s below 10°Celsius, the lemurs can be slower to exit their building, or might not want to venture out- you can view them through the windows in their indoor home. A popular new habitat can sometimes mean a line; everyone wants to visit the lemurs at once! 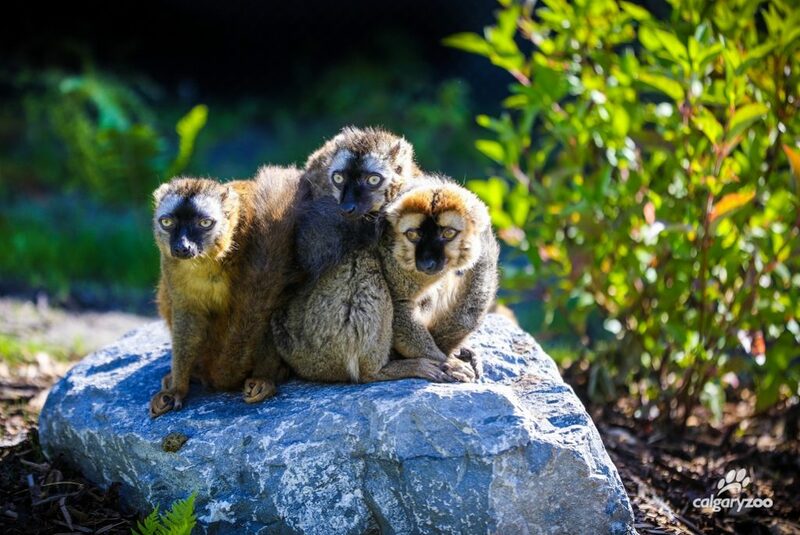 Our staff will be on hand to answer questions and keep you updated as you make your way through the exhibit the first sections of Land of Lemurs. If it’s a hot day, bringing an umbrella is a smart way to seek some extra shade while you wait. Once you enter Land of Lemurs, you will find the lemurs’s indoor building, Lemur Landing, the Boardwalk and Adventure Loop. The immersive walkthrough called the Adventure Loop is optional, so you are free to observe from the landing, check out the new signage, or play like a lemur on the various bridges in the boardwalk. Watch the lemurs from up high for as long as you’d like! Keep an eye out for the black-and-white ruffed lemurs, who like to sunbathe. Keep eyes AND ears open around the black-and-white ruffed lemurs! 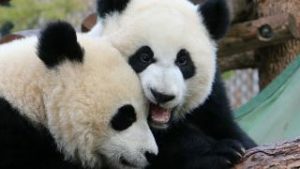 We have two in the habitat and they can be very loud when communicating. It is important to remember that when in the Adventure Loop we are in the lemur’s habitat, which is their home! Therefore, we need to respect their space and how they chose to move through it. Staying in large groups will prompt the lemurs to keep their distance, but if you leave space between yourself and other visitors, the lemurs are more likely to be curious and wander by. Just remember to keep a few feet between you and the lemurs, for both of your safety. 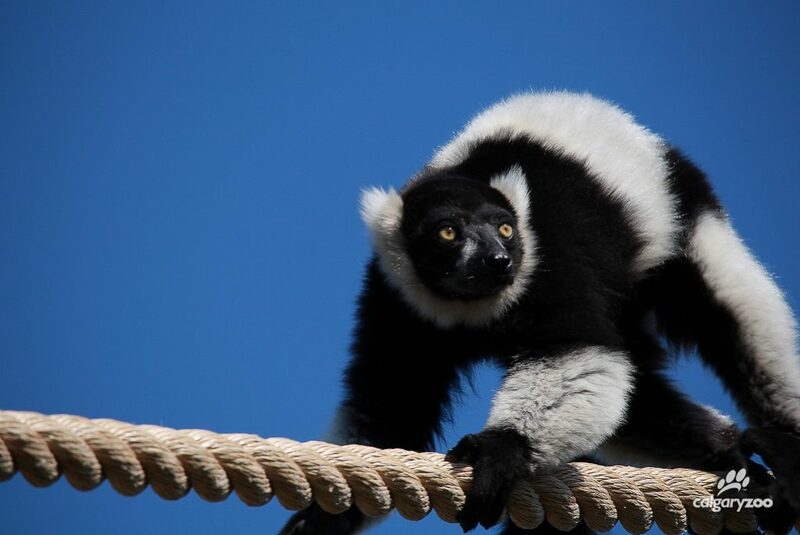 When everyone listens to the rules provided by Calgary Zoo staff and volunteers we are better able to provide an exceptional experience for everyone, leapin’ lemurs included. Educational interpreters are in the Adventure Loop to answer questions and provide information on lemurs and the Calgary Zoo’s conservation efforts. We encourage asking them questions about the animals on park- like how to spot Celeste the lemur (she has a pink chin)! If you are looking for information on what else to do at the zoo, please don’t hesitate to ask any staff or volunteers in the habitat. There are no washrooms in the exhibit – the closest are in the TransAlta Rainforest before coming down! Please do not bring food or water into the Adventure Loop! Items must be tucked away before you get onto the boardwalk or you can leave it with the staff and pick it up after.